Type -AMOLED Capacitive touchscreen with 16M colors. 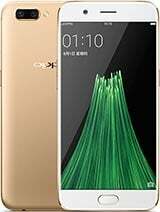 Oppo R11S is an exclusive smartphone that comes from Oppo Mobile. This device has 4 GB RAM, 64 GB internal memory, Octa Core (4×2.2 GHz Kryo 260 & 4×1.8 GHz Kryo 260) CPU, Dual 20 MP+16 MP and 20 MP camera for the selfie. This device is available in Bangladesh and price 38,900/- BDT.